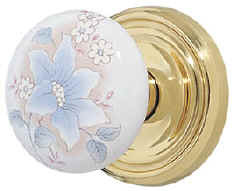 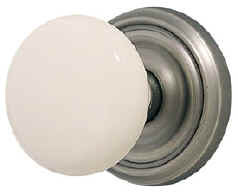 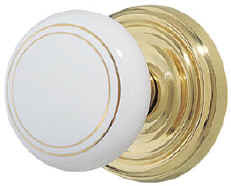 Locksets with Porcelain Knobs and Brass Rosettes - Sold as complete locksets, knob/rosette assemblies are provided for both sides of the door, and passage/privacy sets include a latch, faceplate and strike plate. 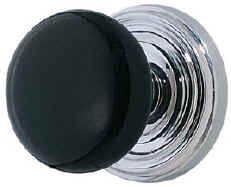 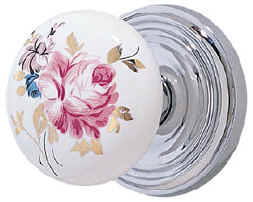 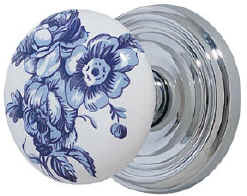 These genuine porcelain knobs are oven fired at extreme temperature to produce a hard, glistening surface. 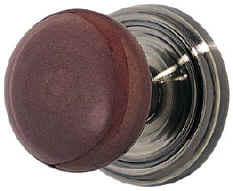 The heavy duty latch has a cast body and a solid brass nose.